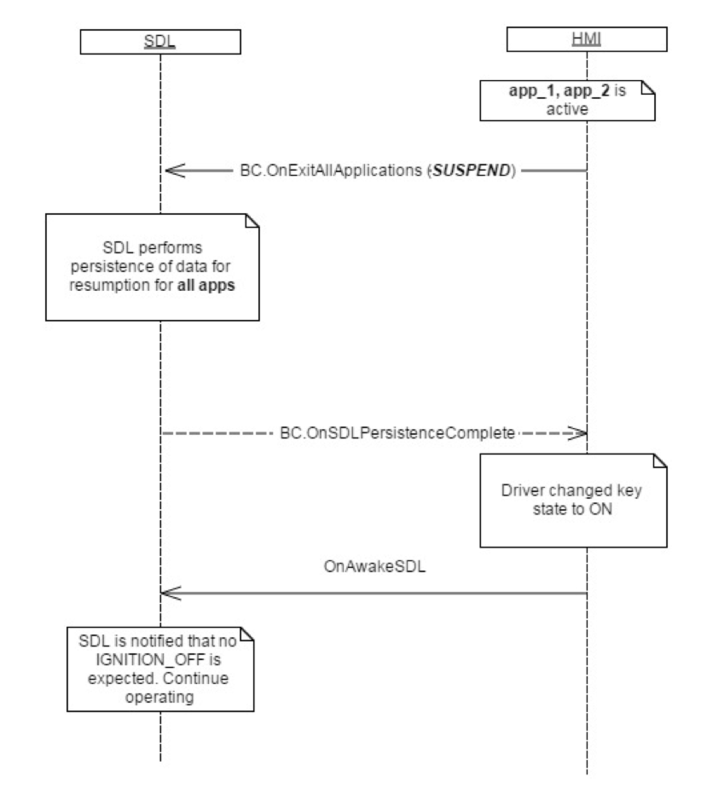 Notify SDL to return to normal operation after a suspend event. This notification is sent to SDL to notify that there won't be IGNITION_OFF sent after OnExitAllApplications(SUSPEND), which was previously sent by the HMI. Send OnAwakeSDL if the ACC does not change, but the driver door is opened and closed two times. Send OnAwakeSDL ifif the ACC key position is set to On.